It’s been a good week for completing some writing. It has, in fact, been a terrific week for this activity. 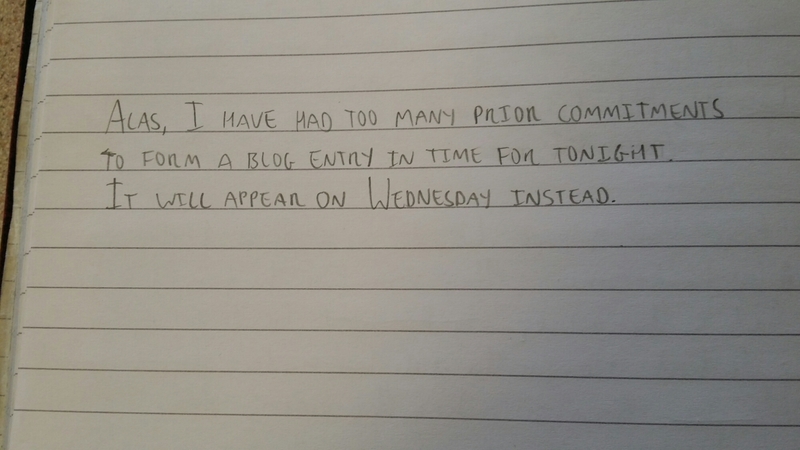 However, it’s left me with no time for writing a blog entry. I therefore refer you to my Fun a Day project on Instagram . The captions of the last ten or so posts talk more about the fragments of text in the pictures. I’ll be back here next week with a full entry.